For a moment, imagine the holidays through your dog’s eyes. Suddenly, without any particular warning, there is a real, live tree in the middle of the home. There are new people coming and going at all hours, some staying for a (very) long time. There is a smorgasbord of delicious scraps potentially falling (or being offered) from the table. There are sparkly lights, crinkly bows, and every kind of shiny thing to explore. While all of these strange, new developments can be exciting, they can also be bewildering and downright dangerous for your precious pooch. Here’s a checklist to keep your favorite furry friend safe during the holiday hustle and bustle. Carefully anchor your tree so that it doesn’t fall over on your unsuspecting pup. Unless you are going to put a baby-gate around the tree or keep your dog away from it – be mindful of your tree trimmings. Tinsel is just asking to be grabbed and nibbled. Unfortunately, those shiny little ribbons are not only a choking hazard, but can wreak havoc on your dog’s digestive tract. Move breakable ornaments out of reach. Your curious dog will not realize that fun-looking shiny red ball is not for playing fetch until it breaks into a thousand, hazardous little pieces. Poinsettias are beautiful. And totally toxic for your dog. Either don’t bring them into the house, or keep them in a room your dog does not enter. Mistletoe and holly are also dangerous for dogs if ingested. Many of our favorite holiday treats are particularly dangerous for our pooches. Make sure you instruct guests not to feed your dog table scraps during the holiday meal. Not only will they be encouraging annoying “begging” behaviors, they could be feeding your dog foods that will cause digestive distress at best, and dangerous reactions at worst. Chocolate is particularly toxic to some breeds. If you or someone else drops that chocolate chip cookie on the floor – pick it up asap! With all of the hubbub, extra excitement and noise of holiday parties, it is easy for your pup to become agitated and overwhelmed. Especially, if you will be hosting guests or a party – be sure and give your doggy plenty of exercise prior to your event – and then a quiet space away from the crowd to rest and relax during the event. Recently, I was at the grocery store and heard a young family in line behind me entertaining their children while waiting to check out. The mom was talking to her two young children about the movie, A Dog’s Purpose. Having recently seen the movie, I loved hearing the how the children expressed love for their furry friend. It got me thinking about my own dog Cassy, and how much we value her as a member of the family. While she can help clean the house and I have failed at training her to get the newspaper off the driveway in the morning, she has a never ending supply of unconditional love, which is certainly welcome in a home full of five teenagers. Cassy requires a significant amount of care, since, much like an infant, she can do little for herself. Since marrying Cassy’s human “dad” last year, I have learned that taking care of her not only creates a bond between us, it is not a chore, but rather a hobby, one that brings rewards far beyond guitar lessons or crossword puzzles. Cassy and I share a love of visiting our local county park, which includes a 10k path around a beautiful lake. Walking around the lake is one of our favorite things to do together. She is trained to run right alongside my bike, and on hot days, will take frequent stops to jump in the water, which means she comes home smelling like a lake. I have found that using a high-quality shampoo not only will remove the lake water small, but leaves a beautiful fresh scent and shine to her coat, afterwards. We play the entire time I am giving her a bath right, through towel drying her. As a rescue, we are not quite sure what breed of dog Cassy is, but the vet claims she is a Husky Retriever mix. She has rather short hair but sheds constantly…all over the house. A high-quality brush is critical to managing shedding, since she needs a good de-furring every other day. The brush you use on your pet should be efficient, effective, and comfortable to hold. I easily make my Fitbit goal every day with Cassy, as she requires a significant amount of exercise. We take morning and nightly walks around the block, and sometimes we even take long bike rides through the park or neighborhood. Nothing is better than pulling into the driveway and seeing Cassy waiting at the window with a tennis ball or bone in her mouth, ready to share her treasure and love with me. She brings an immediate smile to my face, helps release any stress from the day, and is always ready to do something fun during the evening after work. To all dog lovers out there, this season brings fantastic entertainment to show us the importance of connecting with your dog (your best furry friend). If you have taken a trip to the movies lately, you may have heard about Megan Leavey. The story is of an enlisted Marine who becomes a dog handler that trains with military dogs and eventually deploys to Iraq to uncover explosive devices with the dog combat soldiers. 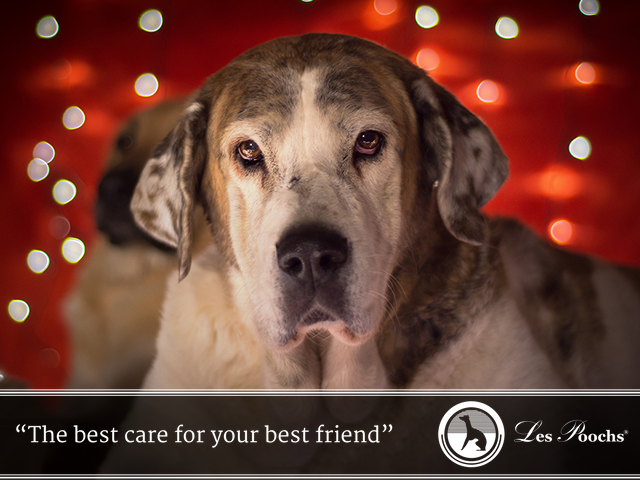 This amazing story has made us here at Les Poochs realize that our own values in providing the best care for best friends is spot-on. Following are the things we learned about how we connect with our dogs. 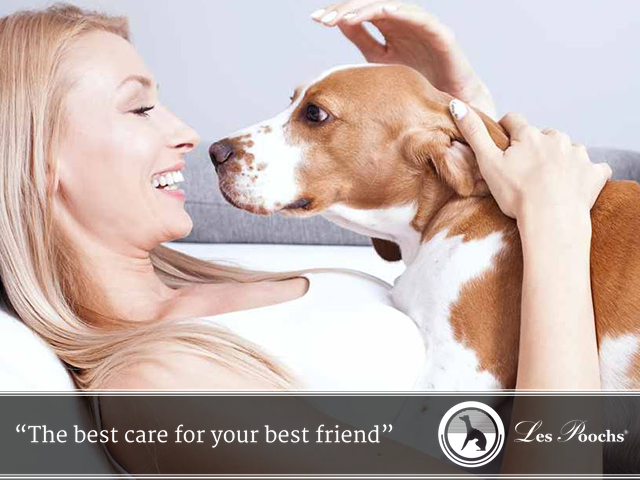 When you make the decision to own a pet, you take on tremendous amount of responsibility to care for their every need. This obviously includes food and water, but also, as we saw in the movie, making sure they are comfortable and have plenty of rest. 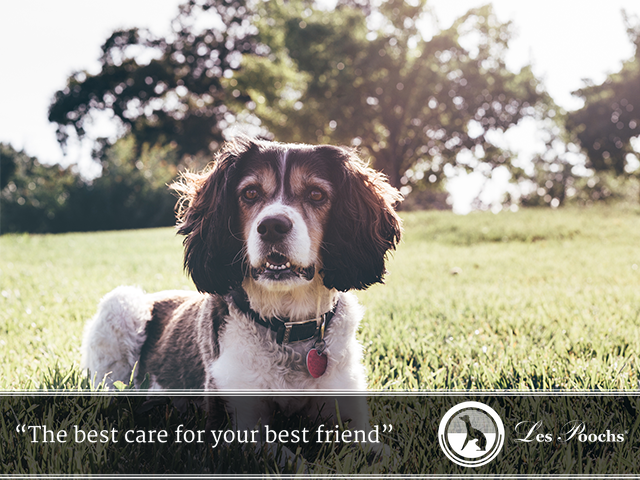 We have designed our products, such as the Les Poochs line of high quality professional dog shampoo, to ensure that you have the products you need, to provide the best possible care for your pet. All pets really want to do is belong. Have you noticed your pet can often be vying for your attention? Regardless of any day or situation, you probably can find your best friend lying at your feet, or close by. When you are having a bad day or even just a tense phone conversation, your pet may come over and attempt to give you love with a nuzzle or a snuggle. They can sense when you need love, and make it available to you. In the movie, dogs were trained to protect humans. And even in the news, we have seen and read stories of other dogs who have been trained to be on the alert for health problems in humans, like the ability to detect high blood sugar levels in diabetic owners. Beyond knowing when you are in need of love, your pet can also sense danger. We applaud the efforts of Hollywood for sharing this story and reminding us all just how special our best furry friends are to our lives and families. How do you see yourself and your family connecting with your dog? Every season is a fantastic time to get outside with your dog. While most dog owners are accustomed to taking walks and exercising with their dogs, given the great weather, you may be looking for other kinds of fun activities with your dog, besides walking. Major cities and small towns have walking routes for you and your dog to explore. Leave lots of time for your dog to sniff new smells. Swimming is one of the most fun activities you can enjoy with your dog. Find a pet-friendly place you can both swim. This can be a pool, lake, or even the ocean. Let your dog splash in the water and cool off in the summer heat. Don’t forget to bring a leash, and well as towels, to dry off your pooch before heading home. If your dog is generally friendly with other people, you and your best friend can bring joy to others who may be struggling a bit in life. You can call a local nursing home, physical rehabilitation center, or even your local children’s hospital, to see if there are opportunities to visit. Your local pet adoption center is another example of someplace that may look for volunteers, as well. If you want to teach your dog some new tricks, a class is the perfect way to get the training you need. Call a local trainer, or ask your groomer for suggestions. With a little practice, you can have your dog fetching the paper, barking on command, or jumping to get a Frisbee. Speaking of fetching . . .
Take your dog to an open area and let them chase balls, sticks and Frisbees that are under your control. Take frequent breaks in the shade and always make sure your pet stays well hydrated. You and your dog will absolutely love the experience of a pet getaway. If you plan correctly, you can visit a park nearby, a dog-friendly museum, dog-friendly winery, and even bring your dog to a restaurant, when allowed. Your dog is part of your family and you should enjoy every single day having fun together. 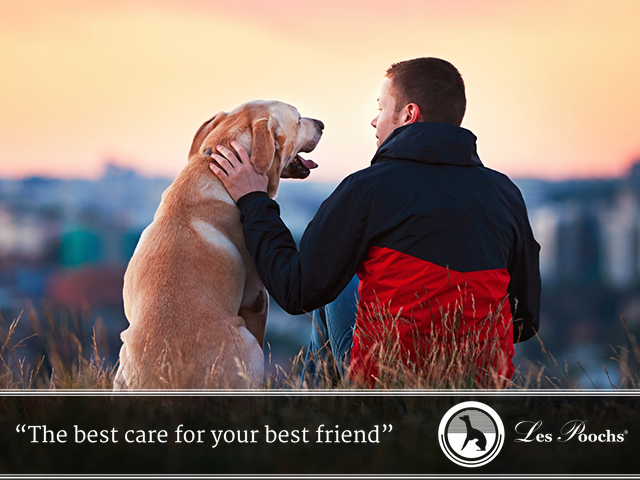 Taking some time to enjoy a new and fun activities with your dog is important, and can provide you with great bonding time with your best friend.